I guide and awakening women over 40 to break free of limited beliefs, step into their life purpose, feel empowered and lead an authentic life. To register for private sessions or small group sessions, simply call Kohava @ 970-208-2503 OR contact me by email (see bottom of page). Empower & reclaim your wild feminine soul! Would you like to free yourself from the shadows holding you back from living an authentic life? Do you feel stuck or lost with no purpose? Do you sense transformations forming within yourself, but part of you resists sharing them with the world? 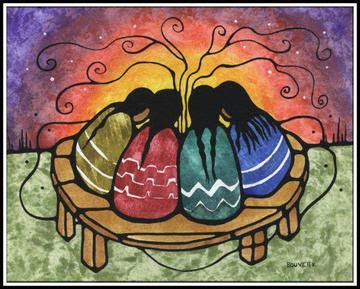 Women have been gathering in circle for thousands of years to support and share. My passion is creating this unique circle for women to empower their feminine soul; to gather in a safe sacred space; to feel loved, supported, authentic, and true to themselves. Our body holds our memories within its tissues that, shaped by our stories, thoughts, and emotions, can be destructive, and can lead to chronic illnesses & depression. Learning how to connect with our body and with all our wounds can lead us to our most authentic self. ~Why do you feel this way? ~Why are you stuck in these patterns? ~How and where do you store your stress, wounds, shadows, and trauma in your body? When did it start, and why is it there? Join this group of empowered and authentic women, supporting each other to grow and evolve, where women discover the art of transformation. Knowing that every woman who heals herself, heals all the women around her. Join us ~ Emerging Vibrant Women ~ for rituals, talk, movements, and meditation. When women come together as a collective, magical things happen! WHEN: First Thursday of every month next one 5/4, 6/1 2017 ,, at 7-8:30 p.m.
BRING: Yoga mat, water, a pillow to sit on, and tell a friend! A Personal growth program to releasing fear and doubt, accomplish goals, manifest abundance, and handle transition with ease. Feel transformations forming within yourself and want to reveal it to the world, but part of you resists? Our body holds our memories within its tissues, that shaped by our stories, thoughts, and emotions, some of them can be destructive, and can lead to chronic illnesses & depression. Finding balance during this amazing transition is a challenge! How can we transcend these changes with ease and inner peace? Do you yearn for more clarity and answers? Would you like to untangle old patterns? Are you ready to face the wounds and shadows that hold you back? It’s time for reinvention and exciting adventures, use the experience and wisdom you acquired over the years and Start living an authentic life.This wellness program designed for woman over 40,who want to revive their life with more fun and creativity. ~Reclaim your beautiful inner feminine power. ~Understand and make sense of your own inner journey and life purpose. ~ to open up and take the leap to learn new things? ~ To improve your relationships and unleash your creativity? ~ To find your voice, thrive and become fully alive? You deserve it, because you matter! BONUS: Register today and get a 1 hour private session! To register simply call Kohava @ 970-208-2503 OR contact me by email, see below. Women tend to store their emotions in their pelvic area, lower back, and most importantly in her womb. The womb is like a sponge attracting all the energies and feelings, either positive or negative. Would you like to learn more about the first and second chakras and how they can help empower your life? Stimulate these essential chakras with therapeutic movements while you learn to release your emotions with motions. 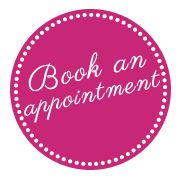 ~ Become an Emerging Vibrant Woman! Please RSVP. Space is limited for all classes. Are you longing to feel loved? Open your heart and trust? Feel uncomfortable to move your body? Are you longing to move your body freely?